Reliable Transmission Rebuilding is also a transfer case specialist. We can rebuild and repair your transfer case. If you are looking for a shop that can does reliable transfer case repair work we can help! Give use a call today to talk more about getting your transfer case repaired today. Do you hear strange noises at certain speeds or when the gear shifts? Do you hear weird noises near the front of your car in the cold weather? This could be related to the transfer case fluid. Does the 4wd not work? Does the car have trouble switching back and forth between 4wd and normal? There are many more signs and most depend on the type of vehicle. If you have concerns about your transfer case it is best to have it looked at with experts like us. What does a transfer Case Even Do? 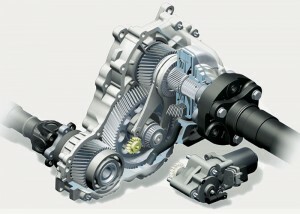 A transfer case takes the power from the transmission and transfers it to the front of the tires. This allows your vehicle to have Four Wheel Drive.